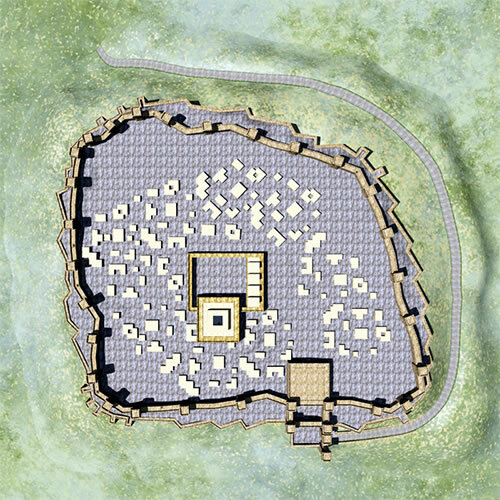 In the first half of the 9th century B.C., under Asa of Judah and Jehoshaphat, Lachish became an important city in the Kingdom of Judah. 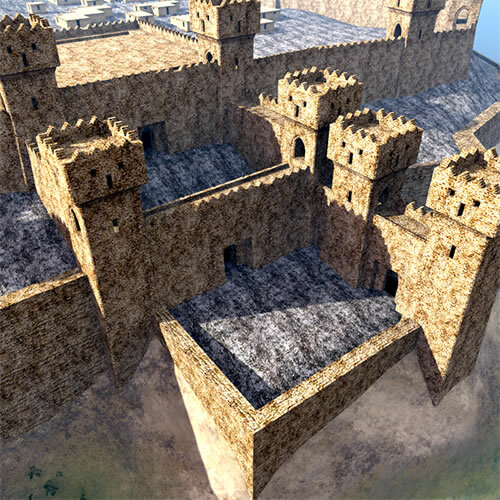 It was heavily fortified with massive walls and ramparts. It is mentioned many times in the Hebrew Bible, including the Book of Joshua, which discusses the Israeli conquest of Caanan. 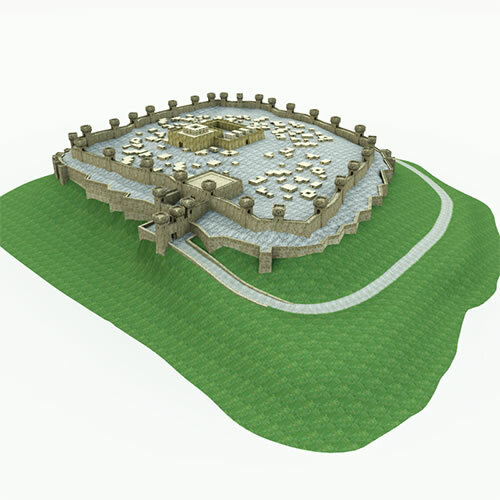 This 3D model has the fortified town with two levels of walls, gatehouse and temple, with multiple, simple houses. 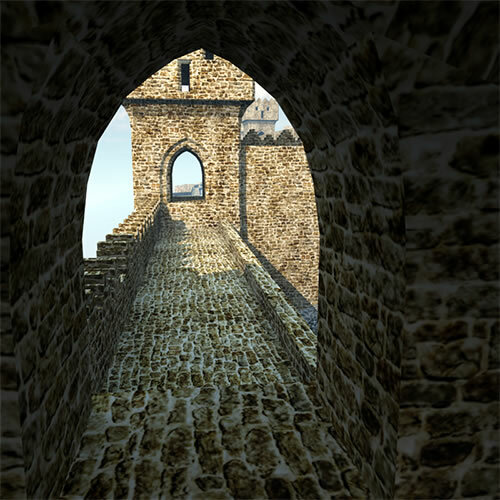 Textures are easily modified and replaced with native shaders. 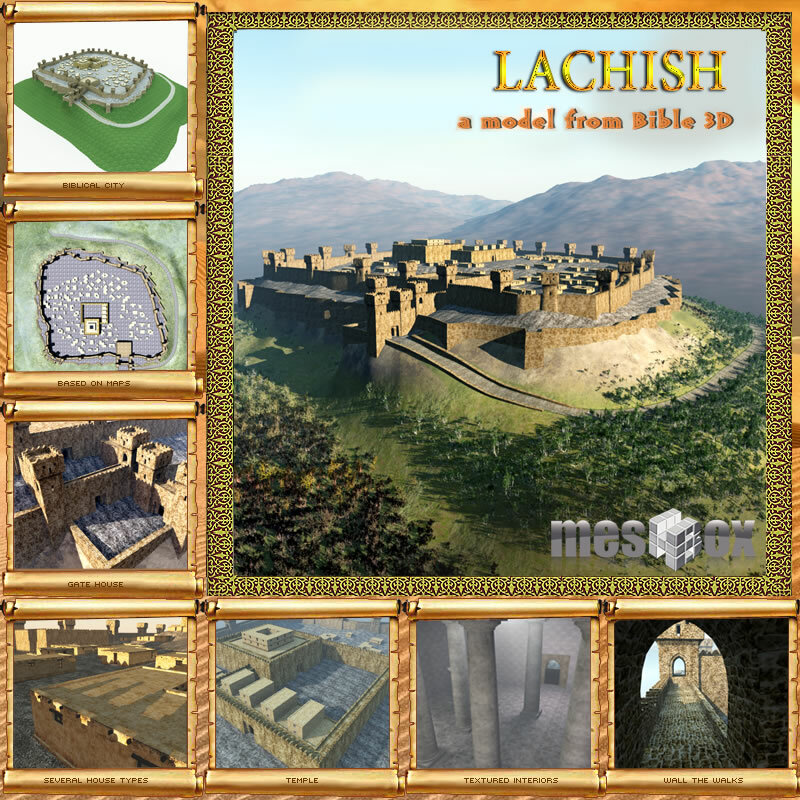 Lachish: Bible City is a Bible 3d series model from Meshbox Design. 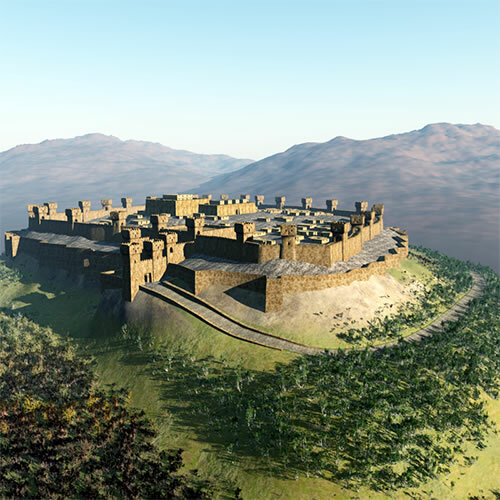 The Bible 3D series brings ancient, world faith locations, objects and people to life so artists can create their own religious artwork. 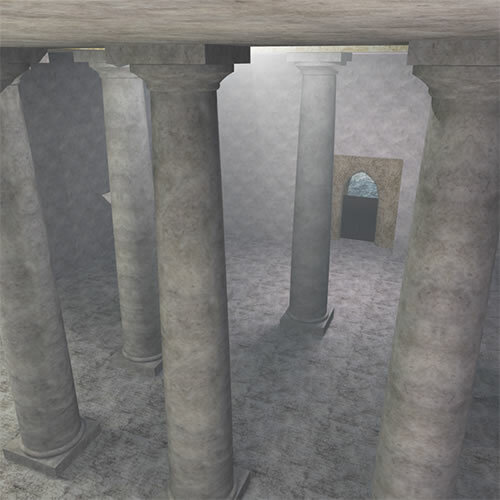 This set is compatible with Poser 7 or higher and DAZ Studio 4.5 and later. 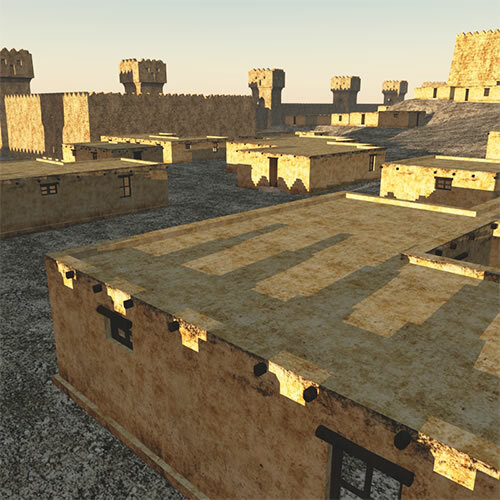 This set is compatible with Blender 2.7.1 or higher..
Meshbox Design is the premier provider of 3D models, buildings and environments for e-on software's Vue natural scenery software. 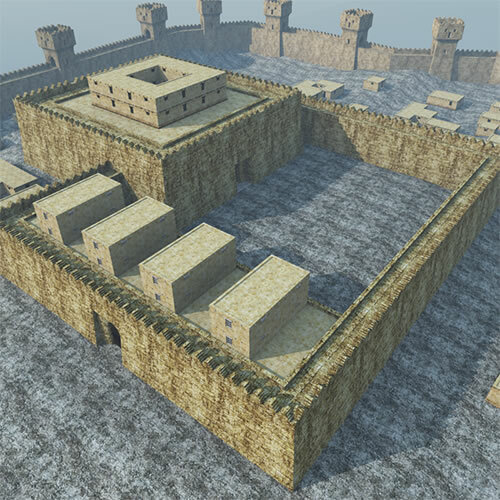 This model includes versions for both Vue 6 and Vue 8 and higher.